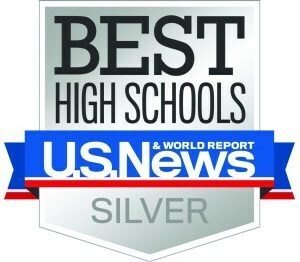 Sci High is one of the best public high schools in the country, and #6 in Louisiana. Click to read more. Each year, U.S. News and World Report ranks the best public high schools in the nation. Sci High has been awarded medals multiple times, and currently holds a silver medal and the ranking of the sixth best high school in the state of Louisiana. According to the U.S. News website, these rankings "include data on more than 22,000 public high schools in 50 states and the District of Columbia. Schools were awarded gold, silver or bronze medals based on their performance on state assessments and how well they prepare students for college."